In this modern world you can now buy food from Woolworths stores online. There is no easier way to shop than through the internet, and with your favourite stores acquiring an online shopping system, there is no reason that you should still have to go all the way to the shops and trawl through busy aisles to get your monthly goods. With online shopping, you can simply sit in front of your computer for a few minutes and have everything delivered to your door. Shopping online is the most convenient way to get what you need. You will not have to worry about taking time off of your busy schedule, especially if you have a job and a family that need your attention. It is also great if you are having a dinner party and do not have time to go shopping, or if you are ill and simply are not up to going to the shops. As long as you are shopping through a reputable and well-known company like Woolworths, and as long as you are careful with your personal and banking details, your shop experience should be completely safe. When customers share information with Woolworths, the information is encrypted so that it is hidden from any potential thieves. Your email address and contact information will not be given to anyone else so you can rest assured that you will not be receiving spam. It is important, however, that you keep your login details for the Woolworths website safe. It is also a good idea to change your passwords regularly, or to use complicated passwords that include both letter and numbers, and that use capital letters. Learn your password off by heart so that you will not have to write it down somewhere. In order to shop online at the Woolworths website, you must visit www.woolworths.co.za. Once you have entered the website, click on the ‘login/register’ tab at the top of the page. You will then have to register as a new user on the website. The form will require some details, but only the fields marked with a star are absolutely essential. You can then tick boxes to clarify whether you are interested in receiving any information about Woolworths products or promotions via cell phone or email. Once you have become a member of the website you will be able to begin shopping for Woolworths food, clothing or homeware online. You simply choose your items from the list of categories and then select ‘checkout’. You will then be able to pay for your items and they will be delivered to the address that you supply. You can even buy toilet paper, tissues, wax paper, tinfoil, bin liners and cleaning products. There are also toiletries like toothpaste, soap, shampoo available online. Woolworths delivers to many metropolitan areas throughout South Africa including Johannesburg, Pretoria, Durban, Cape Town, Bloemfontein, Somerset West and more. Food items will usually arrive the day after you have ordered them while clothing items may take three to five days to be delivered to. Delivery will cost between R50 and R100, depending on the size of your order and the region in which you live. 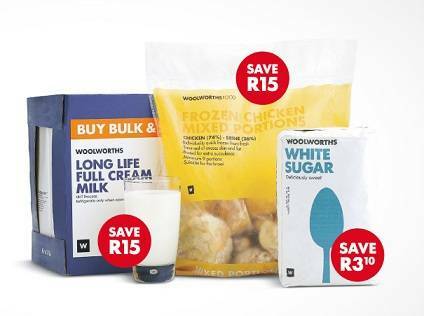 At certain times, Woolworths will offer free delivery to individuals who spend more than a specified amount on their orders. You can even order items as gifts and Woolworths will wrap them, attach a personal message to a card and deliver them to the recipient for you. You can even order via telephone or email if you cannot access the Woolworths website for some reason.